There has never been a better time to go back to school, with support from President Obama and the economy poised for a major comeback in the coming years, your education should be your highest priority. Maine has a wide variety of scholarship, grant, and loan opportunities available for college students; the vast majority of which is free money that never has to be paid back, unlike student loans which eventually have to be repaid. The starting point for any student aid search is always the federal student aid site. This allows you to obtain the federal Pell Grant, among other things, and is a clearing house for information on qualifying for various other grants and scholarships at insitutions of higher learning across the country. By filling out your free application for federal student aid, or fafsa, you start the process of obtaining funds to pay for college, including books, tuition, fees, and even cost of living expenses such as transportation and housing. These funds are available based upon need, and the application takes into account your income and in some cases the income of your parents. Once you have completed the application, you can review the results in your student aid report, or SAR, online. Maine offers a wide variety of student aid from a number of sources. A good starting point for obtaining aid is always your college financial aid office, which specializes in this sort of information and has a list of available grants and scholarships as well as the matching criteria for each one. Your high school guidance counselor is also an excellent source of information for college and should be a starting point for anyone still in high school. One outstanding source for aid is the Finance Authority of Maine, located online at FameMaine.com. They coordinate many programs across the state and can be reached by phone at 800-228-3734. Fame has links to State of Maine financial aid programs, Maine based scholarships and grants, and plenty of helpful information on filling out your financial aid applications and choosing the right college. The Fame website also provides a free search engine for finding specific awards based on your own criteria, you can find this information on the Main Finance Authority’s Website. Another excellent resource is the Maine Educational Opportunity Center &amp; Maine Educational Talent Search, sponsored by the College of Education and Human Development, part of the University of Maine system. They can be reached at 5713 Chadbourne Hall, Room 314, Orono, Maine 04469-5713, or found online via the University of Maine’s website. They can help students apply for financial aid, fill out their fafsa form online, and often can even waive application fees for college enrollment, directly submitting the applications online for the students. They are also able to arrange testing for programs that require it, and offer other assistance with the help of full time counselors. The State of Maine offers a grant that is available for up to $1000 for full time students, and is renewable every year by reapplying. This grant is needs based for any student with an expected family contribution of up to $4100 according to the Fafsa student aid report, and is triggered automatically by submission of the fafsa form. The Educators for Maine program is a forgiveable loan that is aimed at the teaching, speech pathology and child care fields. This is a merit based program, for Maine residents only, that requires an essay and a minimum GPA of 3.0 to qualify. New applications are for undergraduate students only, and the award is for up to $3000 annually, to a cumulative total of $12,000 per student total for undergraduates. Renewing applicants can also obtain this support for graduate work, for up to $2000 annually for a total of $8000 per student. Note that this money can be used at any college in the country, not just in Maine. The Quality Child Care Education Scholarship Program provides grant money for students pursuing an education in postsecondary early childhood education, or child development for child care professionals. The Robert C. Byrd Honors Scholarship is a merit-based, federally funded scholarship which is very competitive and available for Maine graduating high school seniors. It requires superior grades and an essay, and is available for an award of $1500 per year. The number of awards each year is determined by federal funding, but at least one recipient is awarded from each of Maine’s sixteen counties each year. If you have outstanding grades and are adept at writing essays, it is a great way to help pay your way through college. The Brunswick Naval Air Station Scholarship is a program for regular, full time year round employees of the Brunswick Naval Air Station who are losing their jobs due to the base closing, and awards are given on a first come, first serve basis, so it pays to apply early. Applications can be obtained from the Maine Department of Labor or by contacting Christine Greenleaf at 207-623-7986 or by email at christine.l.greenleaf@maine.gov. The award amount is $1000 and is portable to any state, offering the freedom to study at any college you choose. The Doctors for Maine’s Future Scholarship Program offers up to 50% of the cost of attendance to students who enroll in a Maine-based medical school program. The maximum award is up to $25,000 per year per student. Qualifying students must either be a resident of Maine for at least a year prior to college, or have significant connections to Maine such as prior education in Maine, or parents from Maine. Priority will be given to students who received their high school diploma (or equivalent) in Maine, or received a four year degree from a college or university located in Maine. The Maine Dental Education Loan offers Maine residents a forgiveable loan which encourages students to return to Maine for their career. This program focuses on students who agree to work in an under served population area and agree to serve all patients, regardless of their ability to pay, and offers up to $20,000 per year for a total of up to $80,000 per student. This program works in conjunction with the Maine Dental Loan Repayment program, which pays the above amounts for dentists that get licensed and work in Maine, under certain conditions. The Maine Tuition Waiver Program provides free tuition to qualifying students. To be eligible, a student must be a child or spouse of a law enforcement officer, emergency worker, or firefighter who was killed in the line of duty, or be a foster child under the custody of the Maine Department of Health and Human Services when they graduated high school or obtained their equivalent, or be an adopted person or minor ward of an adoptive parent or guardian who receives money from the Maine Department of Health and Human Resources. No award is given; instead, tuition is waived by the educational institution for the student. 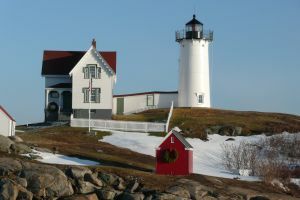 30 awards are given annually, and they are limited to the University of Maine system, the Maine Community College system, or Maine Maritime Academy. Awards are determined on a first come, first serve basis, so apply early. These are only a few of the available awards, scholarships and grants in the State of Maine. Your financial aid office at the college you are applying for, or the guidance office at your high school can provide you with many other resources. Also check with your employer or your parent’s employer, your church or other organizations you may belong to, your local town office, and local groups such as the Elks Lodge, Masons Lodge, or other community organizations. Hi. I was wondering if you have a list of the scholarships that are avalbile to high school students who have been adopted. I would really appreciate it if you have then to give me a shout back with the list.